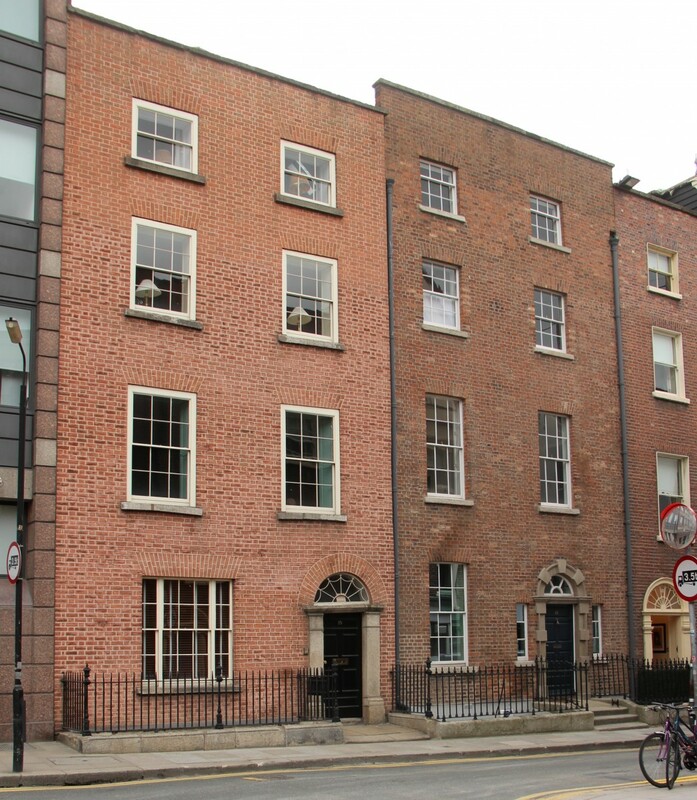 South Frederick Street was laid out in the 1730s as a fashionable residential street intended to be called Library Street, taking the name of Thomas Burgh’s newly constructed Library Building in Trinity College at its northern end. The land on which the street stands was sold by Richard Molesworth in four large lots in March 1733 to developer William Wilde. Wilde built a number of corner houses to set the standard of the development and over time sold on plots of various widths to developers and builders. The western side of the street where Numbers 10 and 11 are sited was slow to be developed, with large tracts remaining unbuilt as late as the early 1750s. 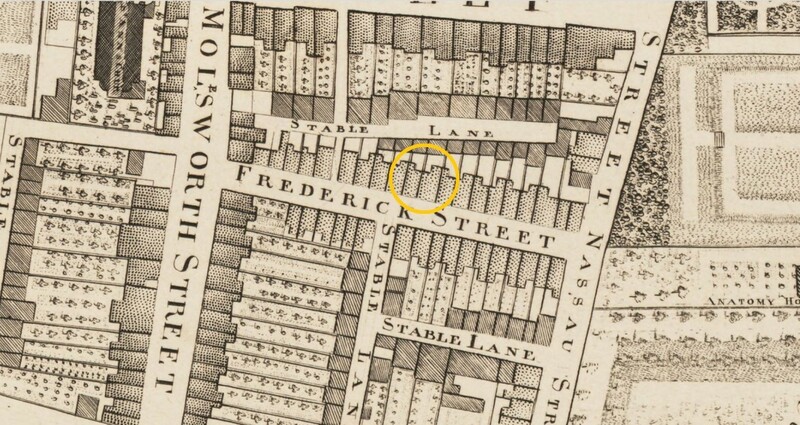 The site of the two houses, with a 47' 6'' frontage to South Frederick Street, was sold by Wilde to David Fleming, merchant, in July 1752, who built at least one of the houses - most likely Number 10 - with Number 11 subsequently erected to a more imposing standard. The earliest houses on the street were originally fronted with curvilinear gables, commonly known as 'Dutch Billies', such as the surviving terrace of houses on the east side that still feature stark triangular gables and closet returns to the rear. Numbers 10 and 11 appear to have bucked this trend due to their late development date. Number 11 features a convincing Georgian parapet and an internal layout that suggests it may not have been gable-fronted, including its peculiar ‘echo’ return occupying a central position to all of the back rooms. Its staircase plan and the position of chimneystacks are typical of ‘transitional’ houses of the 1750s and 1760s, i.e. houses that include both older and newer features in the evolution of 18th-century house design. In Number 11, these include corner and centrally-placed fireplaces and a partially cruciform-shaped roof. The house features a handsome red brick façade and an emphatic ‘block-and-start’ Gibbsian style doorcase – named after the architect James Gibbs who popularised the design. 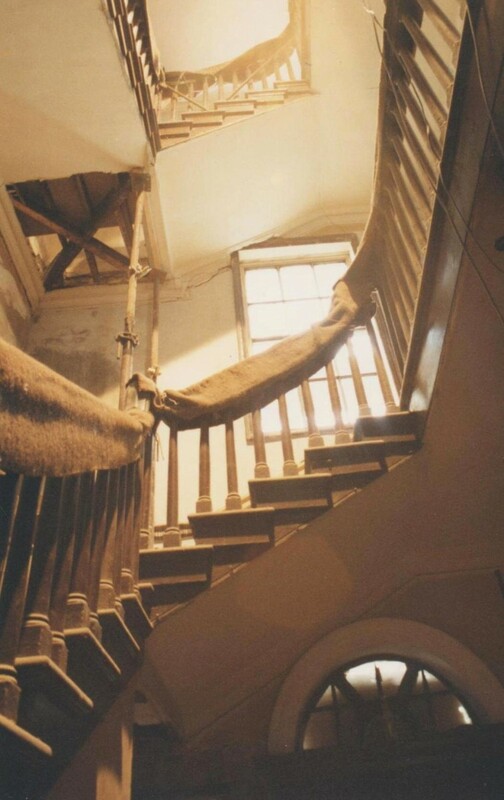 Like many Dublin houses of the mid-18th century, the house is almost entered on the flat from the street rather than up a large flight of steps. Behind the raised-and-fielded panelled front door is a spectacular double-height stair hall with a cantilevered stairs featuring Doric-columned, timber balustrades similar to the beautiful brass balustrades of the staircase in the entrance hall of Castletown House, Co. Kildare. To the left hand side as you enter is a narrow single bay room and to the rear a large room spanning the width of the house with a canted bow overlooking the back yard. The closet found within this bow has traditionally beed described as an ‘echo’ and it likely to be the only surviving example in the city. The rooms on the second and third floors reflect a similar layout to the ground floor with the back rooms on both floors divided to accommodate two bedrooms. By the 1901 Census, Number 11 was still in singular residential use, occupied by Charles and Mary McKenzie and their eight children. The building was in use as a temporary site office by New Ireland Assurance by the time of the Trust’s work on the house in the 1990s.